Welcome to the Li Lab! 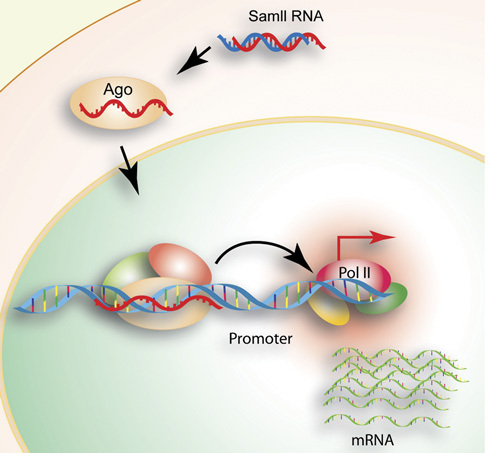 The Li Lab is interested in understanding how small RNAs such as microRNAs regulate gene expression in the nucleus, particularly how small RNAs activate gene transcription, a phenomenon known as "RNA activation" (RNAa). Payton S. Bladder cancer: Intravesical RNA activation-a new treatment concept. Nat Rev Urol 2012 Aug 28. PMID 17713502. [11/18/2014] MiNA Therapeutics completed an exclusive license agreement with The Regents of the University of California relating to intellectual property rights developed by the Li lab...More. [8/1/2014] The Li Lab has moved to PUMCH in Beijing and is now known as Laboratory of Molecular Medicine. - Design PCR primers for bisulfite based DNA methylation analysis and predict CpG islands in sequences.